The Sick Room. We regret to learn that Commander J Este Vibert, RN, is lying seriously ill at his residence and that on Saturday night an operation was performed which so far has proved successful, but his condition still causes great anxiety. The Sick Room. We are pleased to hear that Commander Este Vibert's condition has greatly improved and he is making satisfactory progress towards recovery. Sudden Death of a Well Known Resident. It is with regret that we announce the death of Commander John Este Vibert which took place suddenly last evening at his residence, 5 Belgrave Terrace, Dicq Road. The deceased, who was 49, was the son of the late Mr Vibert who for many years conducted a scholastic establishment at St Aubins. Adopting the Royal Navy as a career he rose rank by rank in the Engineering Section of the service until he obtained the rank of Commander. He was compelled, however, some 2 years ago to retire from the Service owing to the precarious state of his health and during the intervening period he has resided in Jersey and has made himself extremely popular with a large section of the community. Last evening whilst at supper he was suddenly seized with illness and before his medical attendant could be summoned he had passed away. A certificate was subsequently issued stating that death was due to failure of the hearts action. 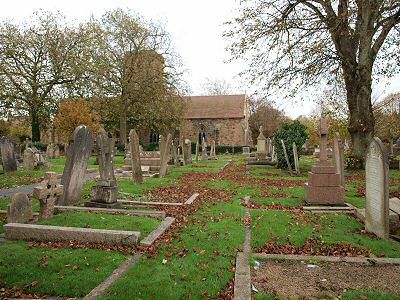 The deceased was a member of the Jersey Chamber of Commerce and a regular attendant at St Lukes Church, where the first portion of the burial service is to be conducted on Friday afternoon. To his widow and all other members of the bereaved family we would tender our respectful sympathy. 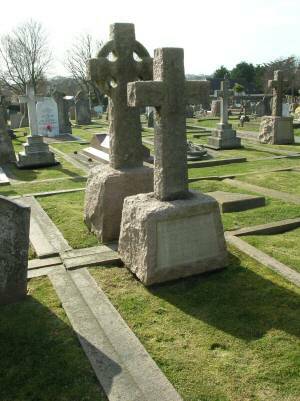 Son of John Este Vibert & Fanny Vibert of St Aubin's School, Jersey. Died of heart failure in Jersey, aged 49 years.